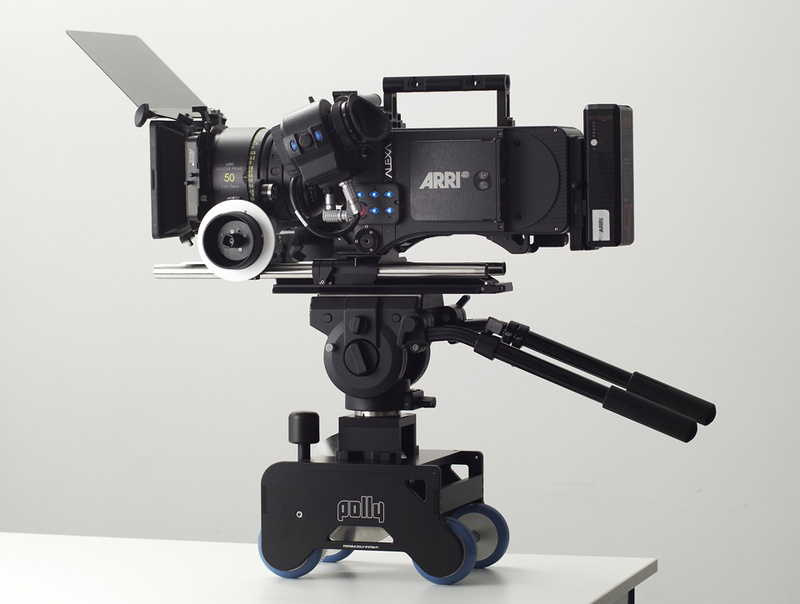 There are videographers who like the compact size of modern camera systems or DSLRs, but don’t want to lose this advantage by using additional large equipment. 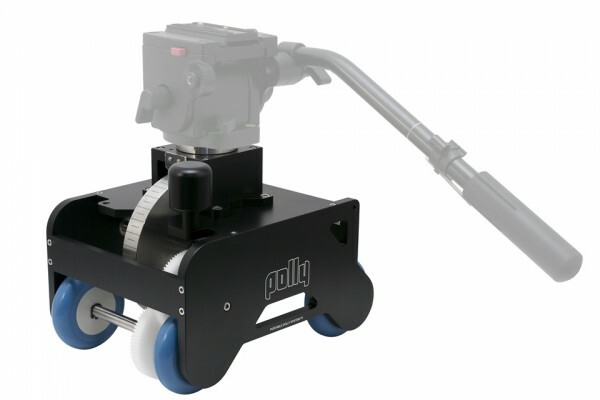 Polly is designed with this expectation in mind – an ultra compact, portable and flexible solution for smooth dolly shots. 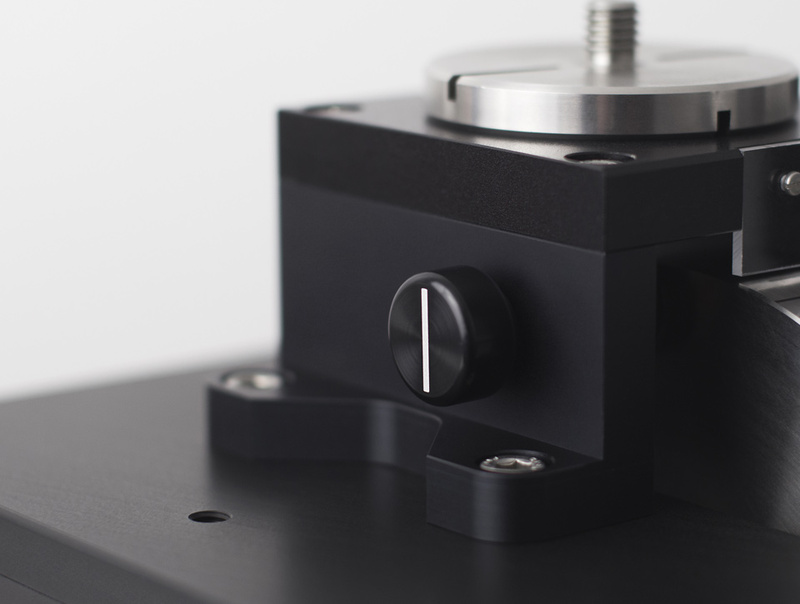 The flywheel gear allows you to move the camera extra smooth on every flat ground with almost no prep time. 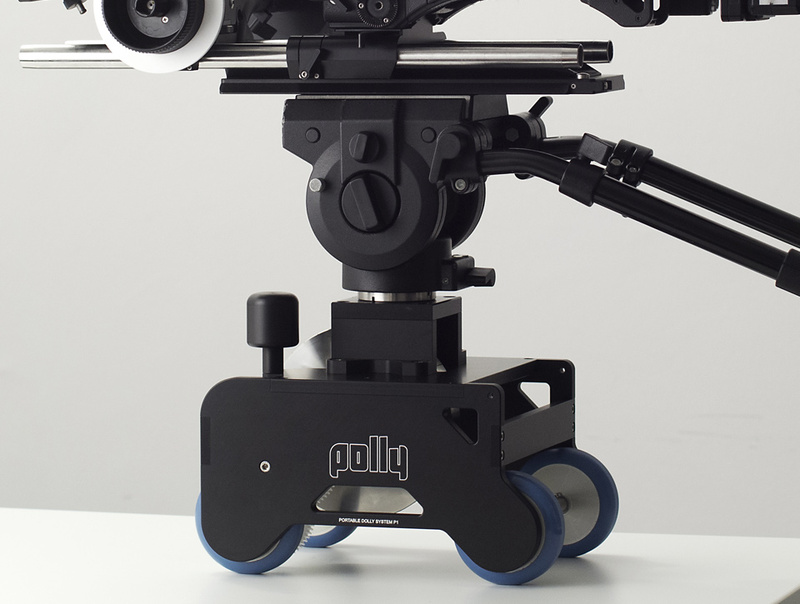 Polly is designed to create smooth and stabilized camera movements in a special and innovative way. 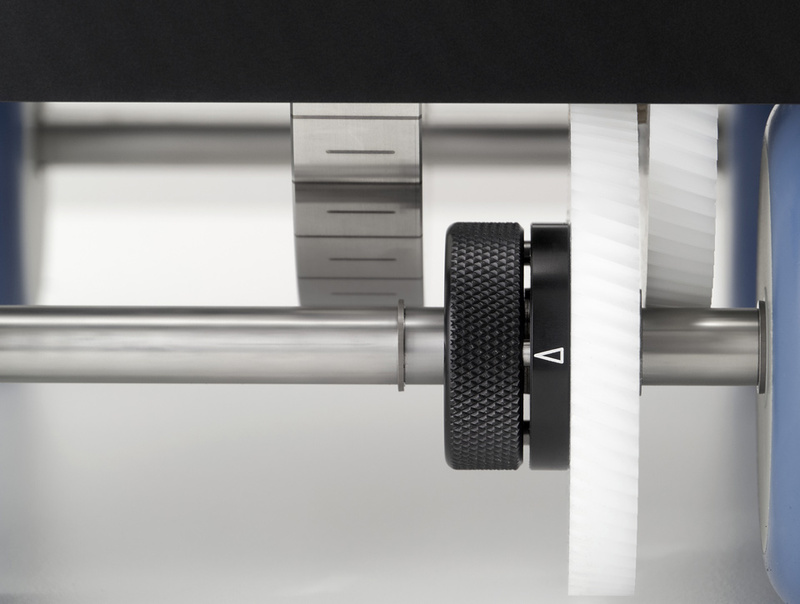 A high-grade steel flywheel with the a disengageable gear simultaneously accumulates the kinetic energy and stabilizes the movement. 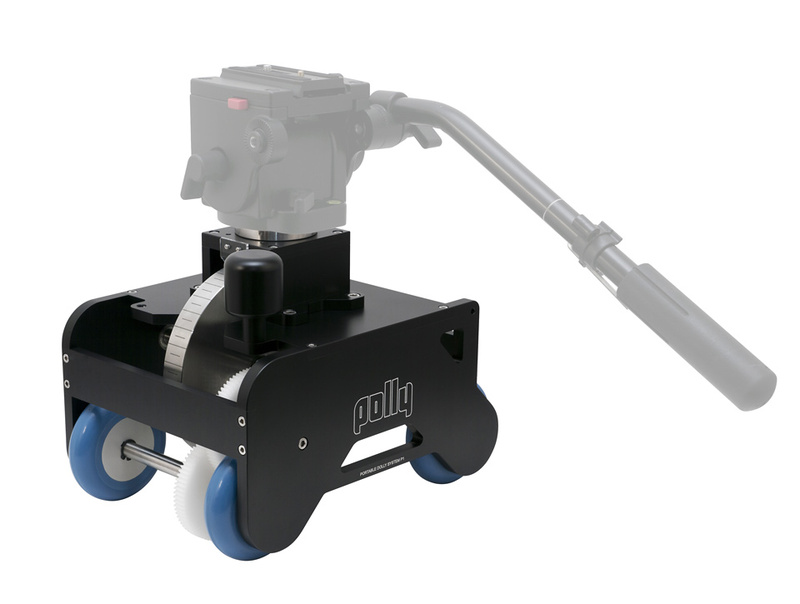 With a camera and a video-head mounted on the top (3/8” adapter included) you can achieve constant and ultra slow dolly shots with a fingertip. Polly works on every flat surface. 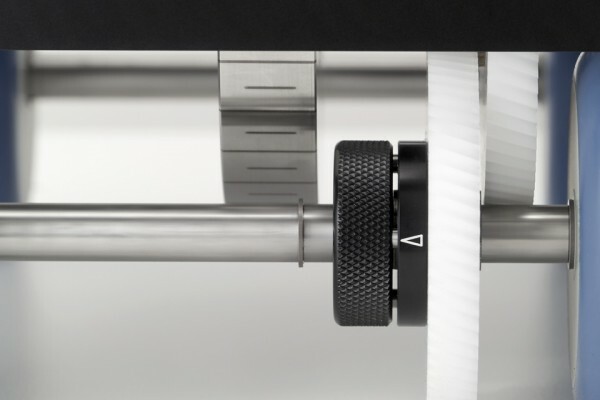 A scale on the flywheel enables super-precise stopmotion dolly shots, too. (Width: 200 mm; Height: 200 mm; Length: 280 mm; Weight: 7 kg). 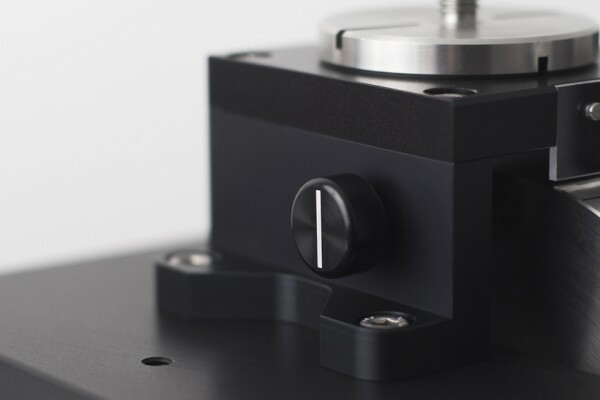 With two fingers you can disengage the gear for two operating modes. 1996,00 € (excl. VAT) Buy now! 2275.00 $ (excl. VAT) Buy now! With Polly Platform you can use the system on regular working heights. 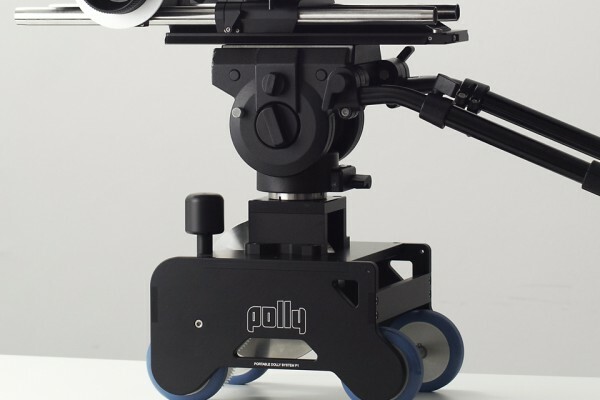 Just mount Polly Platform on tripods or stands (3/8″ or 1/4″ threads) – with Polly Surface on top and you are ready to go.